A particularly busy kitten season has left the charity bursting at the seams and volunteers are having great difficulty finding new owners for the homeless kittens now in their care. One of the kittens in need is Marmite. A mischievous and fun loving black tom kitten. (photo attached) He came into our care from a multi cat household where his mum, Tallulah, had had many litters of kittens over the last few years. If you contact the Branch you can obtain a discounted neutering voucher worth £20 towards the cost of neutering male cats and £26 towards the cost of neutering female cats. 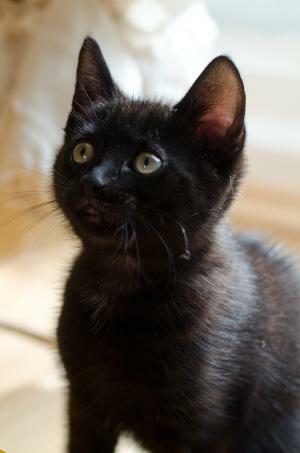 For more information about adopting a kitten or getting your cat neutered, please contact the Branch on 01926 334849.